Here again you have various ways to treat your tresses. Dyeing all the length or trying highlights. 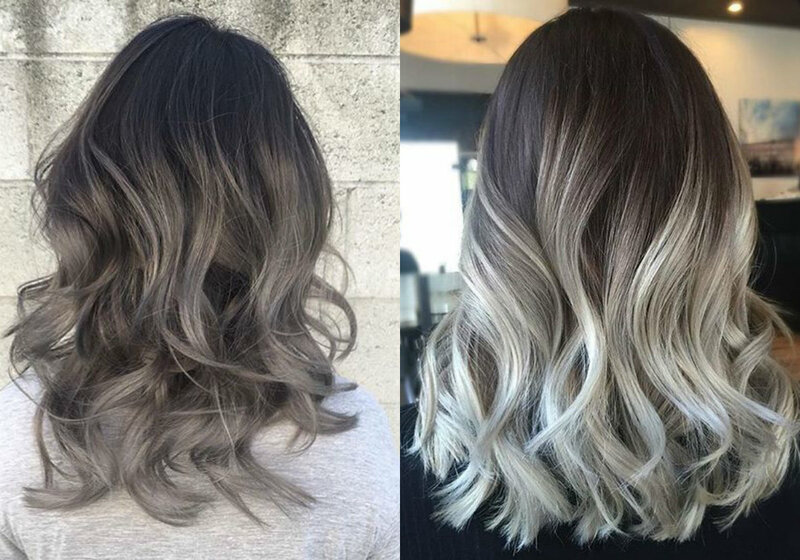 From balayage to ombre highlighting technique always create really inspiring looks. Speaking about grey colors, you should take into account that it also has its palette of shades. 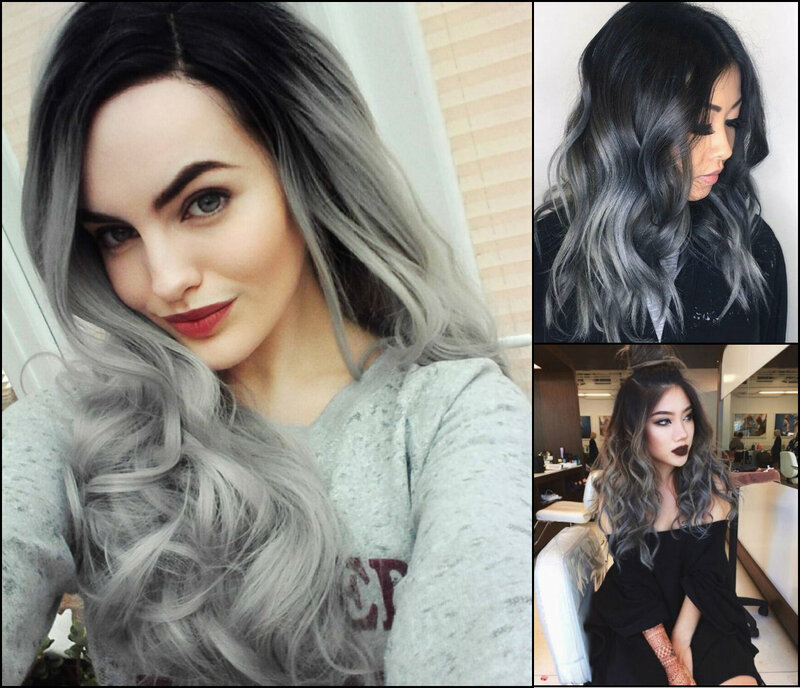 In a word, from the dark iron metallic colors to very soft moonlight silver tones, all can be considered grey, which one you choose is up to. 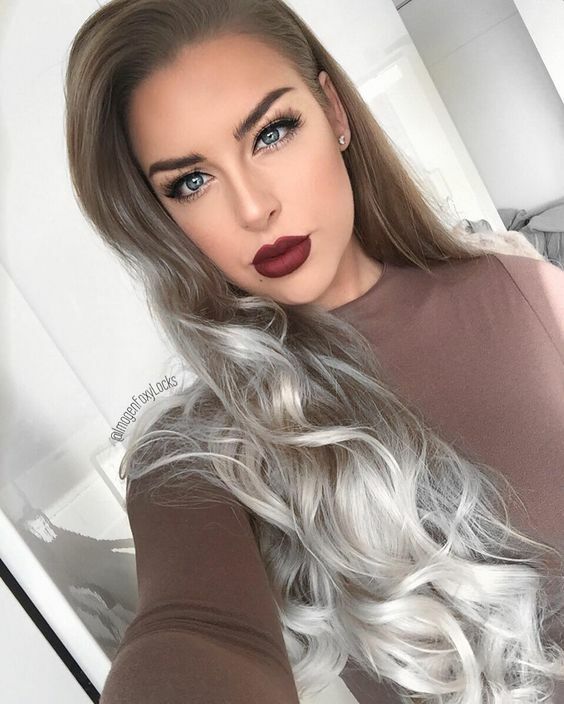 However, remember that you skin tone and base hair color also play a big role here. 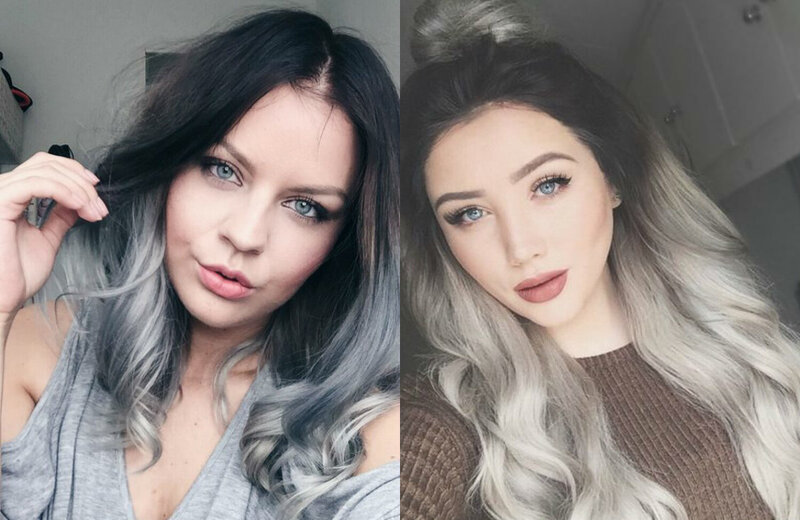 For very dark brunette roots better go either deep silver, or make a very gradual transition from darker to lighter shade. 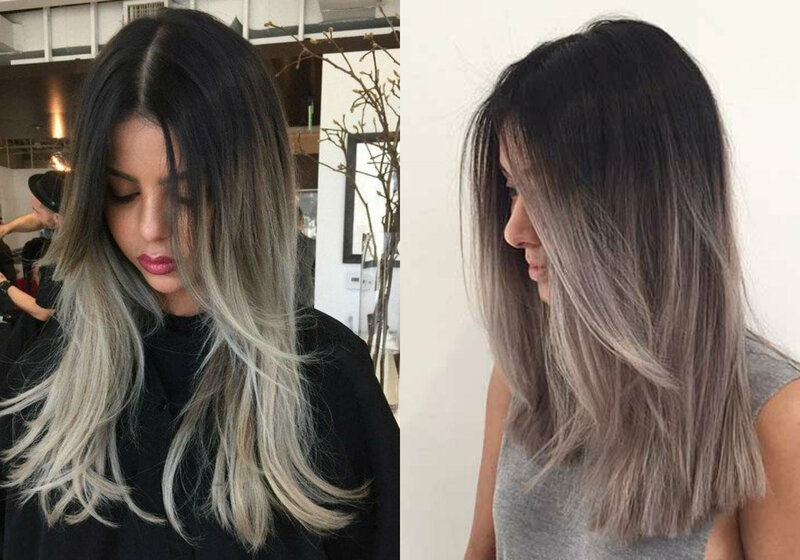 While with fair hair you can go directly to light ombre grey hair colors. Before you choose your tone, take a look at your hair length. 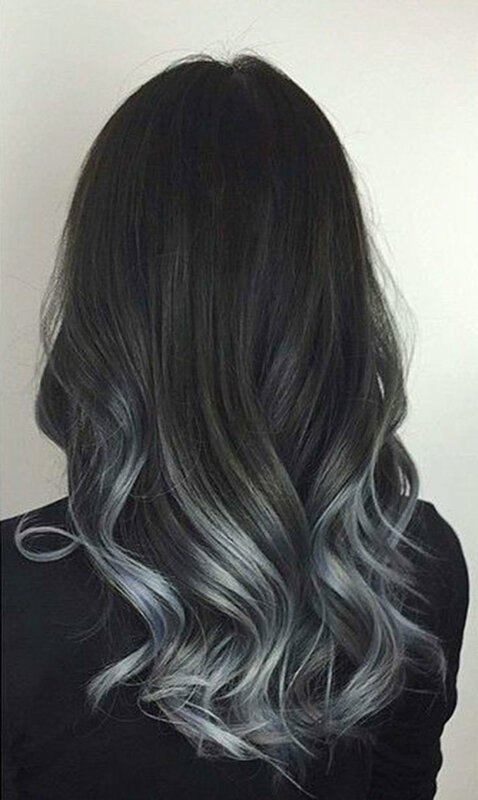 Silver highlights can be implemented to both long and short hair. All depends on professionalism of your hair stylist. 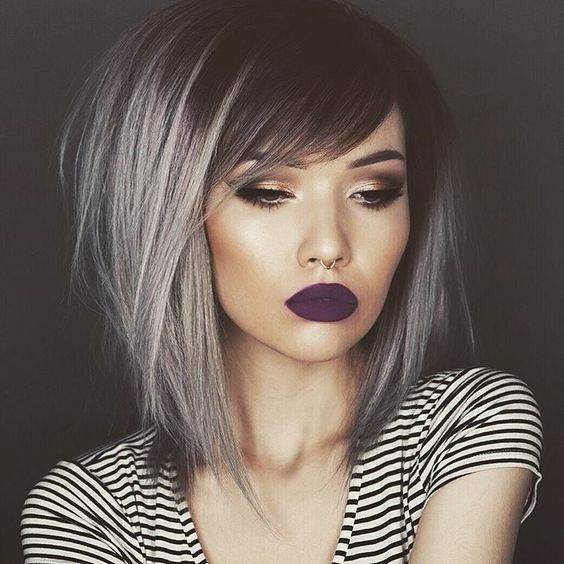 And if you have bob hair length, be sure that your new grey style will be smashing. 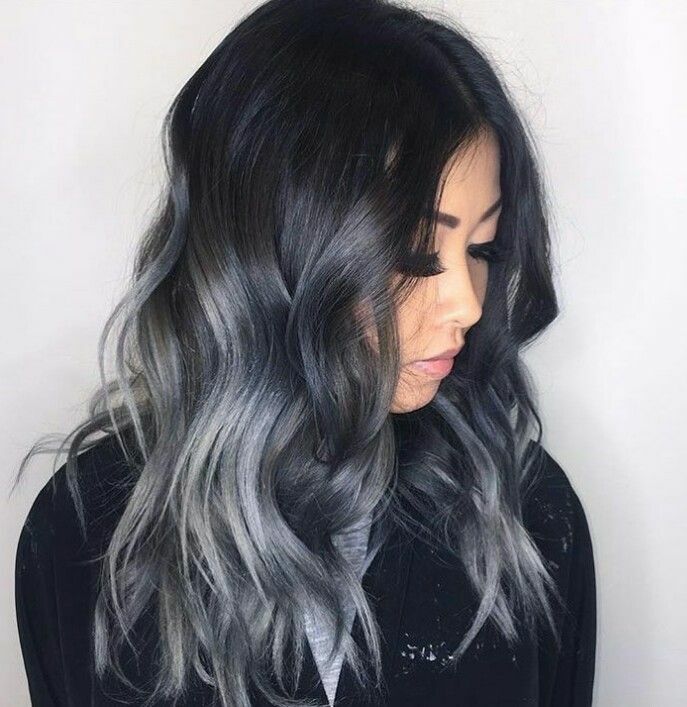 There is some unique beauty in dark silver colors. Don't you think so? On the whole silver is a mystical metal. Throughput centuries people have assigned various powers to it. 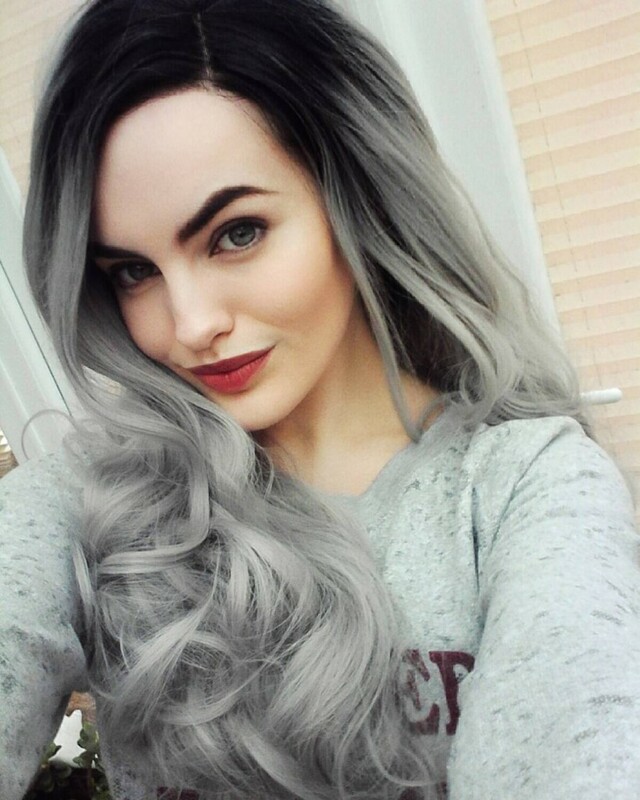 Consequently, silver hair also implies some kind of mystery and strength. Before you go for such a complete makeover, you must consider throughly how it will influence your life. 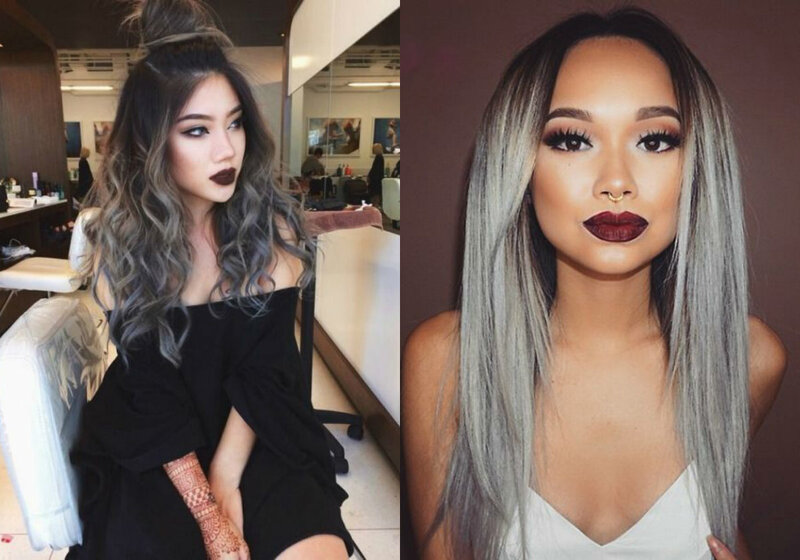 Cause hair colors really make changes.